A thrill a minute at Devcom! Or maybe just informative by the minute. Tomorrow I’ll be speaking on Fitting Writers into the Development Process at Devcom in Cologne. Join in the informativeness! What: Game developers are sometimes left scratching their heads on how to incorporate writers into the game development process. This talk will take attendees through the stages of development to identify how a writer can integrate with the team and add value to the game, whether it be narrative-driven or narrative-light. Horizon Zero Dawn wins Writers Guild Award! Check out the acceptance speech and some photos from the event, but be warned, there is a clown. Next up are the DICE awards next week in Vegas and the GDC awards next month in San Francisco. Fingers crossed for the Guerrilla team, who are nominated in multiple categories! …ramming a square peg into a round hole. …ramming a car into a brick wall. …ramming a bullet into a well-greased chamber. Game developers are sometimes left scratching their heads on how to incorporate writers into the game development process. This talk will take attendees through the stages of development to identify how a writer can integrate with the team and add value to the game, whether it be narrative-driven or narrative-light. Register here, and I’ll see you Sunday! Do you have the essentials for game development? If you’ve haven’t yet mastered game development, never fear, Game Development Essentials is here! 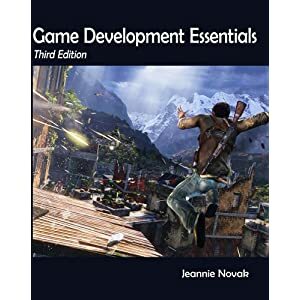 Returning to her successful Game Development series, Jeannie Novak edited this well-reviewed third edition featuring yours truly discussing narrative design. I’m quoted along with other luminaries such as Warren Spector, David Brin, and Richard Bartle. In fact, I’m featured opposite the lovely and talented Chris Avellone, whose picture looks much better than mine, damn him. I was not offered compensation for contributing or shilling the book here, but if you do decide to buy the book here, I get a little Amazon commission. Enjoy!